Sorry, your sharpest suit or dress is no good here. Upgrades happen not because of arbitrary things, like fashion – but because of hard and fast airline rules and opportunities. Fortunately, there are a variety of ways to upgrade an international plane ticket, including spotting the author of this post in an airport . Basically, if you want to trade your economy seat for a bed, you’re in the right place. We’re going to show you how to upgrade almost any international airline ticket, and the airlines which offer the most realistic opportunities to do so. Oh, and upgrade availability changes daily, so don’t be afraid to keep trying up until check in! 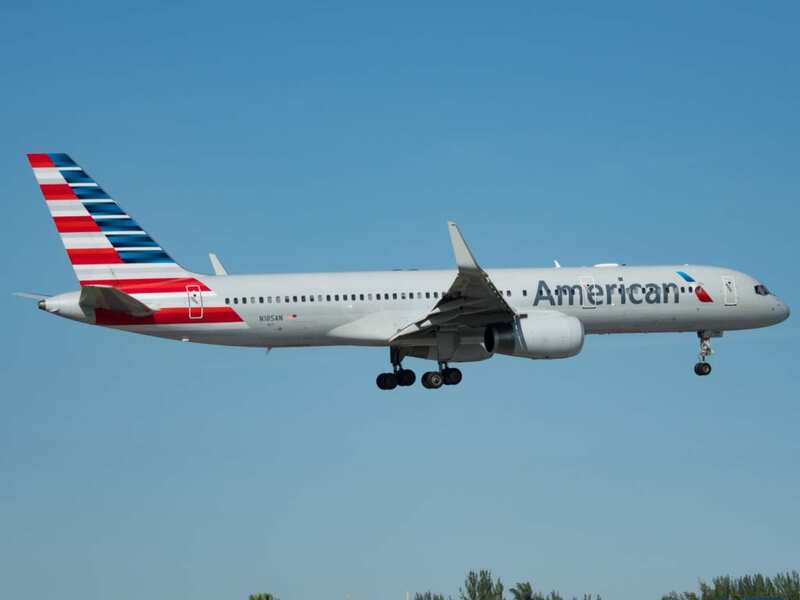 American Airlines – Miles And Cash Co Pay…. What You Need: 25,000 Miles + $350. How Easy It? Moderately easy, and most fares can be upgraded. What You Need: 20,000-28,000 ANA miles or Amex Points. How Easy It? Moderately easy, and moderately priced fares can be upgraded. ANA has a reasonable method for upgrades, requiring you to buy a moderately priced economy or premium economy fare, but not the highest – for an upgrade to business class. For a premium of roughly $200 over the cheapest tickets, any ticket in G, E, Y, B, M, U can be upgraded, and ANA makes it easy to find space. What You Need: 15,000-50,000 Flying Blue Miles, Amex, Citi Or Chase Points. How Easy It? Easy. Almost all the cheapest fares can be upgraded. What You Need: 10,000 -33,000 points, minor cash if upgrading from economy. Offer. British Airways made changes to their loyalty program, and one key improvement was upgrades. Now almost all tickets in economy or premium can be upgraded. Since the airline offers many cheap premium economy fares, this is an excellent way to upgrade to business class with no additional cash. Economy fares can only be upgraded to premium, and will require a small co pay, but are also a solid move for comfort. They also now flash paid upgrade offers (in their app), which can be good value. What You Need: 30,000- 95,000 Emirates points or Amex points. Or, last minute cash. How Easy It? Pretty Easy. Almost all cheapest fares, excluding promos can be upgraded. Emirates offers a few mechanisms for upgrades, like last minute “instant” miles upgrade offers, but for most people- the best method (for your wallet) is to use miles. Emirates allows you to upgrade almost any ticket to business class – and though it requires a lot of miles, it can be great for saving cash. Use their calculator to find out how many miles you’ll need, and be sure to check for space in “Z” class to know if an upgrade is possible, ideally before booking. What You Need: 20,000- 97,000 Etihad, Citi or Amex points. Or, last minute cash. How Easy It? Pretty Easy. Almost all cheapest fares can be upgraded with a variety of means. What You Need: 10-50,000 Qatar QMiles, or Citi Points, Or last minute cash. How Easy It? Pretty Easy, upgrades can be done last minute, most fares eligible. Qatar has a pretty generous upgrade program. Almost all fares except promotional fares are eligible for upgrade, and since there’s no premium economy – it’s straight to business. You can use Qatar QMiles to upgrade tickets to all destinations, all the way up to check in. Qatar famously offers extremely tempting paid upgrade deals in the days and hours before a flight, so if you don’t have miles – be sure to ask what the going rate is. You may luck out, especially with their excellent economy deals. What You Need: 15-50,000 Singapore Miles, Amex, Citi Or Chase Points. How Easy It? Easy. Great availability, and decent fares! Singapore Air doesn’t offer any viable options for booking economy tickets and upgrading to business, but they do offer solid paid rates, roughly $225 to upgrade to Premium economy on many routes. If you’d like business class however, booking premium economy (they have great sales) and upgrading to business is a fantastic trick to save tons of money on generally expensive international flights. Basically, you’ll pay a bit more than economy, but starting at just 17,500 miles, business for around $1000 round trip is hard to beat! What You Need: 25,000+ Miles & Smiles. Patience. How Easy It? Moderately Easy. Need To Call. Turkish Airlines offers upgrades using their Miles & Smiles loyalty program on almost all fares. There are literally too many to count. That’s great news, but the only issue – is that they’ve removed their chart explaining how many points you’ll need from the website. Therefore, you’ll need to call, which can always be an adventure. In general, rates aren’t too steep using points and Turkish often offers some of the lowest economy fares, so there’s real potential to fly business class on the cheap. What You Need: 20,000-80,000 Virgin Miles, Amex, Citi or Chase Points, last minute cash. How Easy It? Very easy. Much like British Airways, Virgin Atlantic changed their policy, now allowing virtually any ticket to be upgraded. They even took things one step further, with the ability to upgrade from economy directly to Upper Class. Finding space and availability is easy, and upgrade rates aren’t bad at all, especially if you book Premium economy (which can be as low as $800 round trip), or only want to upgrade in one direction. Round trip rates can be found here, and you can use half the miles to upgrade just one way. Previous ArticleEmirates Deal: $392 New York City To Athens, Greece- When Booking For Two! Is it possible to upgrade a business class award flight on BA (having used american advantage miles) to first class using avios? Only possible to upgrade with the miles you originally used. In this case, since it’s a mileage ticket, you’d need to use the miles required for a first class ticket using miles. 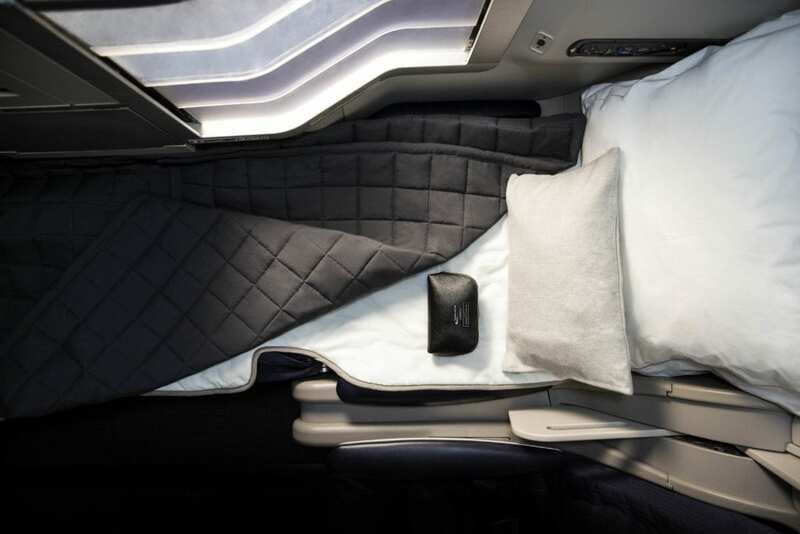 You can upgrade a British Airways paid business class fare to first, using the miles of the airline you booked the ticket with. So if you booked your BA flight with American, you’d use American miles. If you booked your BA ticket with BA, you’d use BA miles. Buy your ticket and then immediately call them to do the upgrade? And if you have the proper fare class can you always upgrade as long as there is an empty seat or do they only allow so many? 1) Call in and ask about availability (with as much flexibility on your end as possible) during dates you’d like to travel. If they say yes to Tuesday but no to Monday, and you have that kinda flex, all the better. 2) There needs to be availability. Each airline has slightly different policies and some are more and less generous. Keep checking back if you don’t get the answer you’re looking for. The week before a flight things start to change – if space wasn’t there before. How about business to first class upgrades? In most cases: you’ll need less miles and less cash to upgrade almost any business fare to first! Enjoy. Thanks for the post, really helpful. Quick question, if the AA flight I’m looking at is operated by a partner airline, in this case Cathay, does this still apply? 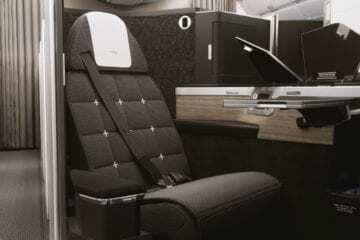 What about Premium Economy to Business class using BA Avios on partner airlines, for example on JAL or AA? Can you get upgrade directly with partner JAL/AA with cash offer? Hi! Great post, something I’ve definitely been wondering about. I noticed that you didn’t mention two of the major airlines, Delta and United. Do these two not offer the ability to upgrade, or would they follow similar rules within their airline alliance? For instance, would KLM follow Air France’s? Hoping to fly business or first class to Europe this fall, and wasn’t sure whether to book it as such, or upgrade. Thank you! Hey Jessica, If you can book business – definitely book business. Earning rates, etc are fantastic. 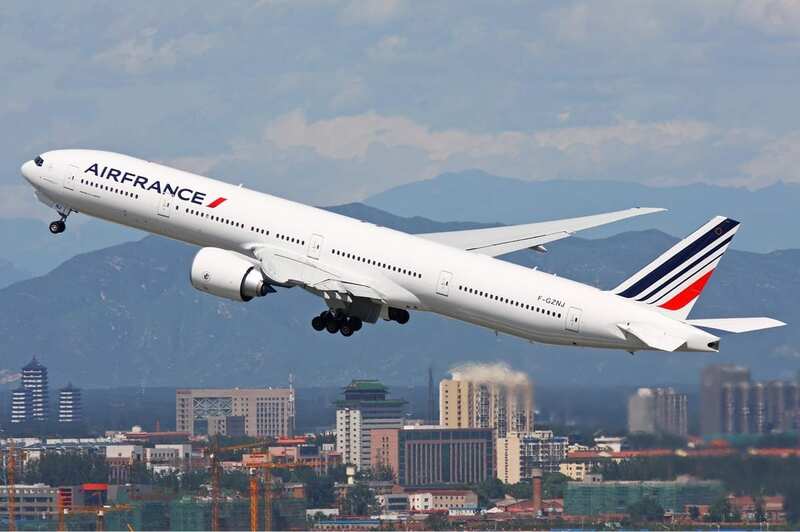 If upgrades are more feasible- Air France/KLM offer good opportunity, same for American. Delta and United keep you to very restrictive fares- at which point you probably could buy business for the same or similar amount. Hope that helps! You forgot to include the ol’ “Sweet talk the ticketing office at the airport”, I’ve managed to get 3 economy to business upgrades on Qatar Air by doing this, all whilst at the lowest form of membership (burgundy). This has been twice at Heathrow and once in Delhi. I always try my luck, except in Doha, there is no point even trying there, it’s impossible to strike up a conversation, let alone get to the point of getting offered an upgrade. I have a BA CW cash booking from ORD to LHR next month. I called BAEC and enquired about an upgrade to F and was told it was not possible with Avios (no availability) or cash. Also OT, I booked CW LGW-KIN & FLL-ORD-LHR. Saw it £60 cheaper on Travelup.co.uk but was unable to claim the difference back as there was an AA flight included. You can’t always rely on the BA Best Price Guarantee. “As advised previously, our Best Price Guarantee is only valid on flights purchased on ba.com where the flight is operated by British Airways. Your flight BA4399 is operated by American Airlies, so, I’m afraid we can’t uphold your claim. I’m sorry to disappoint you. Thanks again for following this up with us. The AA chart says 25k miles and $350 will only get you from economy to premium economy. How about economy to business class? This really is not correct. BA demand a steep increase to the “carrier imposed charges” to do this. The last time I tried it was about £500. That’s not correct. I am sorry you had that experience, but it’s not correct. Agents occasionally miscalculate the difference when reissuing the tickets, but I’ve never had a difference any more than £50. There are countless reports of agents spitting back £500 figures, only to realize they are wrong when prodded. I do this all the time, all around the world. It’s because Premium to business falls under virtually the same taxes. Econ to premium triggers a larger difference than prem to business. This was a BA agent and after significant prodding…… Also the BA website does exactly the same thing. Also, it’s not taxes. You are right that taxes are pretty close. This is the sinister “carrier imposed fee” that used to be the fuel charge. If there is a trick to this I’d love to hear it. I’ve tried about 5 times unsuccessfully…..